Happy April everyone! I’m amazed how quickly this year is flying by. Does it seem like as you get older time goes so much faster? When you are young, the days are long and the years between birthdays seem like forever. The wait for Christmas morning feels like eternity. And then you have children. And the days with stomach bugs, sleepless nights, and crying babies drag on and on. And people warn you (wise wise women warn you) that you should embrace this time because before you know it, your children will be leaving the nest. You give those wise women a side glance because on the surface, speeding through the sleepless night phase doesn’t sound so bad. Yet deep down, you don’t want that baby to grow up. Suddenly (or at least it feels like suddenly), here you are. One child has left the nest. One child graduates high school next month, one is learning to drive this year (and turns 15 today! ), and your baby is a teenager. I know ya’ll just want this recipe for Coconut Cake, but I do have a point to my story. I feel like I am one of those wise women now telling YOU a secret. Enjoy life. Embrace it. LIVE your life. Make memories. Did you read that last line? So often we skip dessert. Life is short my friends, and I’m here to say, EAT DESSERT. I get it if you’re counting calories and trying to lose weight or be healthier. Here’s my advice. Don’t waste your time on semi-delicious food. If you’re going to eat dessert (which I highly encourage), eat the most amazing dessert possible. Not the whole cake. That’s where friends and family come in. That’s where the laughter and the memories come in! Bake it together. Eat it together. ENJOY LIFE! Okay. This public service announcement is over, but I’m sure as my babies continue to leave the nest, this isn’t going to be the end of my story or my life lessons. Because there’s still one important thing to discuss… how do you scale down the amount of dinner you cook as your family shrinks? Cause that struggle is real. For the cake, Whisk together room temperature egg whites and 1/4 cup of the milk in a small bowl until slightly combined. Set aside. In a mixing bowl, beat butter, sugar, vanilla and almond extracts for 2 minutes on medium speed, scraping down the sides of the bowl as needed. For extra coconut flavor, you could add coconut extract if desired. Add in dry ingredients and mix until combined. Beat in egg white mixture until fully blended. Add in remaining milk and beat for 3-4 minutes, scraping down the sides of the bowl. Fold in coconut. 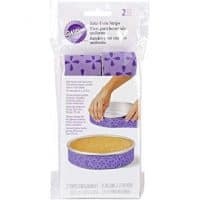 Spray two 9-inch cake pans with baking spray or use parchment paper. Pour batter into pans and bake in a 350 degree oven for 26-28 minutes. Remove and cool completely on wire rack. 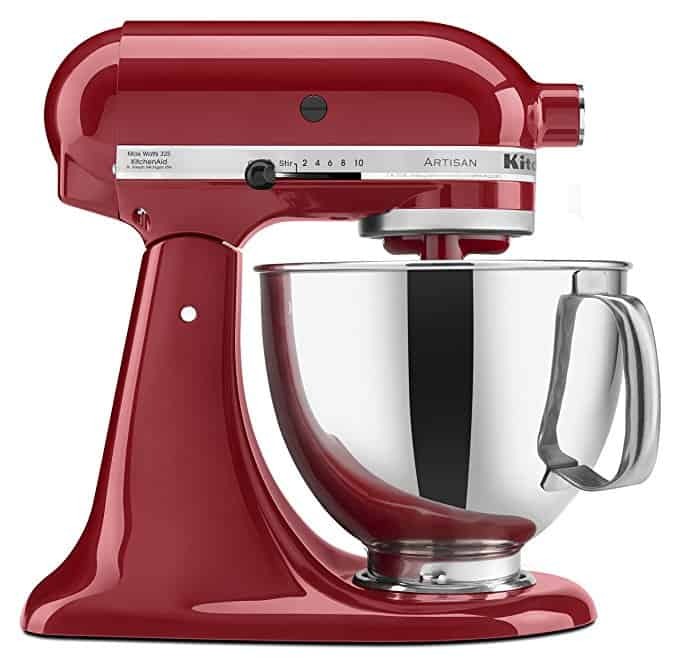 For the frosting, beat butter and cream cheese for 3 minutes using whisk attachment on an electric mixer. Add in powdered sugar and heavy cream. Beat an additional 4-5 minutes, scraping down the sides of the bowl as needed. To assemble, place one cake layer on a cake stand. Add a large amount of frosting to top and smooth with an offset spatula. Top with second layer of cake. Apply frosting to entire cake. To add the coconut flakes or shredded coconut to the top and sides of cake, place cake stand on a baking sheet (to help catch excess coconut). Fill hand with coconut and press gently into sides of cake. Repeat until desired amount of coconut applied. ENJOY! Sweet Coconut Biscotti is perfect with your breakfast this morning! Dunk it in your morning coffee or tea, and I say you have a well rounded breakfast! Turn your traditional Banana Bread recipe into something even better! I added shredded coconut and macadamia nuts to my favorite recipe to create this Coconut Banana bread! INCREDIBLE. Enjoy this light, refreshing Coconut Cream Poke Cake after dinner tonight! Perfect to bring to a potluck or BBQ this year! Creamy, BBC Drink – Banana Baileys Coconut Cocktail Recipe made with cream of coconut and is perfect any time of year! Cheers! Add a little coconut milk to hot chocolate for this Pina Colada Hot Cocoa recipe. I promise it’s amazing. Whisk together the egg whites and 1/4 cup of the milk in a small bowl until slightly combined. Set aside. In a mixing bowl, beat butter, sugar, vanilla and almond extracts for 2 minutes on medium speed, scraping down the sides of the bowl as needed. Add in dry ingredients and mix until combined. Beat in egg white mixture until fully blended. Add in remaining milk and beat for 3-4 minutes, scraping down the sides of the bowl. Fold in coconut. Spray two 9-inch cake pans with baking spray. Pour batter into pans and bake in a 350 degree oven for 26-28 minutes. Remove and cool completely on wire rack. Beat butter and cream cheese for 3 minutes using whisk attachment on an electric mixer. Add in powdered sugar and heavy creama. Beat an additional 4-5 minutes, scraping down the sides of the bowl as needed. To assemble, place one layer of cake on a cake stand. Add a large amount of frosting to top and smooth with an offset spatula. Top with second layer of cake. Apply frosting to entire cake. To add the coconut to the top and sides of cake, place cake stand on a baking sheet (to help catch excess coconut). Fill hand with coconut and press gently into sides of cake. Repeat until desired amount of coconut applied. ENJOY! My birthday is this coming Thursday, and it definitely feels like the years are flying by. All the more reason to celebrate life’s blessings daily! 🙂 Thank you for sharing this fabulous cake recipe. YUM! This sounds amazing! PINNED! My son is 40 and lives 3000 miles away.. My husband died 5 years ago. And I still have not learned to cook for fewer than 5 or 6! But the best part of that is that there is always room for company at the last minute and food to share wit new moms, folks who are ill, etc. And isn’t that what life is about?! It sure is 🙂 Thank you for sharing YOUR journey! The coconut cake looks & sounds wonderful. I have one problem I don’t care for almond flavoring, may I use more vanilla or another flavor & if so what would you suggest? You can just leave the almond extract out. You could use coconut extract to replace it (I have a hard time finding it). Or just keep it out completely and just use the vanilla 🙂 ENJOY. Do you think this cake would freeze well? You can definitely freeze the layers after they have cooled. I would suggest thawing them and making a fresh frosting on the day you want to serve it! How long do you leave cake in pans before turning out to cool? Thanks, can’t wait to try it…also, can it be made in 9×13 pan? I leave them about 5-15 minutes, depending on what I’m doing in the kitchen. As long as you have greased them properly you should have no issues flipping these out! I have been looking for a good coconut cake recipe. Thanks! I have found coconut extract at Walmart. It’s the Watkins brand. Can’t wait to try this recipe (my mother-in-law LOVES coconut anything!) Sounds like a good recipe to try for Easter. I tried making this cake and it overflowed all over my oven. I was wondering if the tbsp of baking powder should have been a tsp. What else could have been the problem? I would double check the size of your baking pans, this is the same standard white cake recipe I use for all my cakes and cupcakes! I can’t wait to try this recipe. I love coconut cake!! I haven’t tried, but I know some people use cup4cup flour in many of my other baking recipes with success! Hi. Just wondering if I could do this cake in a buntz pan? Looks so amazing. I haven’t tried this recipe yet in a bundt pan, so I’m not sure. If you try it, let me know! One question: Would it ruin the taste if I used unsweetened shredded coconut? I saw the picture, and I thought I need to immediately make this cake! A few questions – can I use canned coconut milk in place of the milk? Which attachment did you use to make the batter – paddle or whisk? Lastly, when you mix in the egg white mixture, how long does it take before it becomes “fluffy”? When I think of beating egg whites, I think of making meringue, so I don’t if we are trying to achieve that kind of airy-ness? Thanks! I can’t wait to make this! I think eating cake is a perfect way of enjoying life! Looks delicious! I’d love to make these as cupcakes. If you have, how many does it make and what time/temp did you use. Thank you! Try putting a pineapple filling in the center. That is the way my mom always made it. It was and is my favorite cake after 66 years. Thanks for the memories. Like you we are empty nesters and would never each a big cake. But cut recipe down and make or freeze half and ice half only. For food. Get the cook Book by Betty Crocker that is called ( dinner of 2). It will help you get a start. I’ve had mine now for over 46 years and fell back on it when the time came. You indicate 1 cup coconut for the cake but no where do I see to add coconut in your instructions. Hmm. Hi! When I added in the dry ingredients it was a bit dry and felt never really turned into a creamy cake like batter until I beat in the egg white mixture. Consequently there were teenie lumps in the final batter. Is that normal? I used the paddle attachment on mixer versus the whisk attachment. Think that would have made a difference? Do you think this recipe would still work if I used less sugar – 1 cup instead of 1 3/4 cup? Ana I used 1 cup of sugar it turned out just fine! Really looks good, thank you!! Hi, would I have to add anything if I wanted to put in a box of instant pudding mix with the batter? Amie, ty for sharing this recipe. I have it in the oven right this moment. Fathers Day gift for my wonderful husband. I hope I didn’t goof by using coconut milk in place of the milk. I couldn’t resist. I had some on hand so I went for it. The batter was so white and so silky looking. I may use this recipe for a wedding cake Im making next month. Thank you again and GBY. How was it with coconut milk? This is one of my most favorite cake ever! Coconut is the best flavor. I would love to try it at home. Thanks for the easy to follow recipe. The cake turned out really good, but it was dense instead of light and airy, is it suppose to be dense? I did use cake flour like you suggested but I was wondering if I used all purpose flour would that help? No it’s definitely an airy cake! it could be you beat the batter for TOO long? You do! I can’t think of why else it would be dense 🙁 So sorry it didn’t turn out for you! 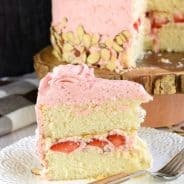 I already bought heavy whipping cream for another recipe, will it be ok to use this as well for frosting on this cake? 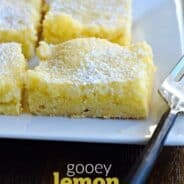 Anyone try this recipe in a 13×9 pan? If you beat the butter for 3-5 minutes it becomes very pale in color. I’ve never used whipping cream in place of butter so I can’t say how that would work. I have been browsing the internet for a coconut cake and found your recipe. I am so excited to try it. The reason I have been looking for a coconut cake is this week my husband and I were in Grand Lake Colorado (beautiful) and I had the most amazing ice cream. It was coconut ice cream with raspberry swirls and oreo cookies. I really wish I had gotten 2 scoops. So any way, I make and sell cake pops and I am always looking for new ideas and I thought that the combination of my ice cream flavors would make an amazing cake pop. Wish me luck! Good luck. That ice cream sounds amazing! 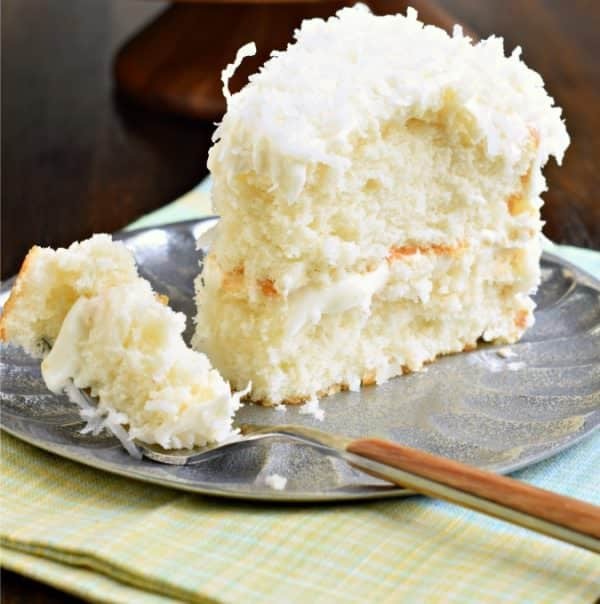 I’ve been searching for the perfect coconut cake recipe and I have found it! I made this cake exactly as directed. I didn’t even get to frost it as I dropped one of the layers on the floor. It was delicious without the frosting, so moist, everyone who tried it agreed with me. I will attempt to make it again soon. To make a two layered half sheet of this cake would I double or triple the recipe? Cannot wait to try. Sounds so much like cake i grew up loving. Lost Mother’s recipe over the years & yours is the first i have found using scratch white cake incorporating fresh coconut into batter. We used the 7 minute frosting liberally doused with fresh coconut. Cannot wait to bake. Thank you! Can you substitute buttermilk for the milk? haven’t tried it, but let me know how it works out! Cake flour?? Can I use all purpose flour? Or where can I find cake flour? Hi! I was just wondering how long this cake lasts after making? And do I need to refrigerate it? Thanks for the recipe. Can I use unsweetened coconut since I can easily make fresh coconut flakes and do I dry the flakes? It is really looking lovely!! 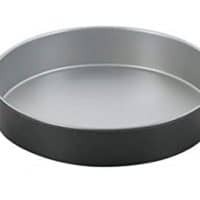 Can I use a tube pan instead 2 layers. If so how long would I bake the cake in a tube pan? 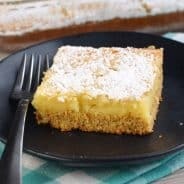 What is the feedback with using coconut milk instead of milk? I’ve made this cake several times and absolutely adore it but this time I put a layer cheesecake in the middle! Mmmm…. I made the cake exactly as written. I had the same experience as another poster. The batter was very dry until the egg white mixture and milk was added. In the end, the batter was fine but that did concern me. I used 9” pans and durIng baking, the cakes rose slightly above the edge but there was no spillage. I had to add an extra cup of confectioners sugar to the frosting and even then it was too thin. I had to put the frosted cake in the fridge fro keep the frosting from melting. All in all, a very good cake and it was received after Easter dinner. I just need to figure out what happened to the frosting. Best cake ever! Can I make cupcakes with this recipe? What was the answer on AP Flour? If you don’t have cake flour, you can use all purpose flour and make your own cake flour by removing 2 Tbsp of flour (per every cup) and replacing it with 2 Tbsp of cornstarch. Sift together. It’s not the exact result but it’s better than JUST using all purpose! The coconut used is fresh Coconut or dry coconut, also we don’t get sweetened coconut here, can I add powdered sugar n mix with coconut? 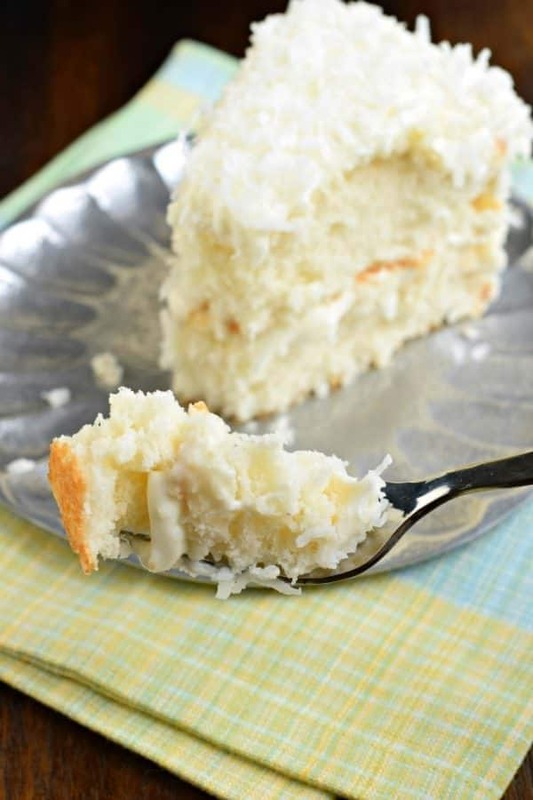 Coconut cake is one of my all-time favorite cakes!!! I can’t wait to make it for one of our holiday parties! I love coconut anything! This cake is a new fav! I’m a huge fan of anything coconut!! I love how light and fluffy this cake and frosting looks! FOUND IT! This is the recipe that is JUST like what I grew up with! THANK YOU!! You had me at coconut! Seriously though, this is DELICIOUS! This cake looks DIVINE! 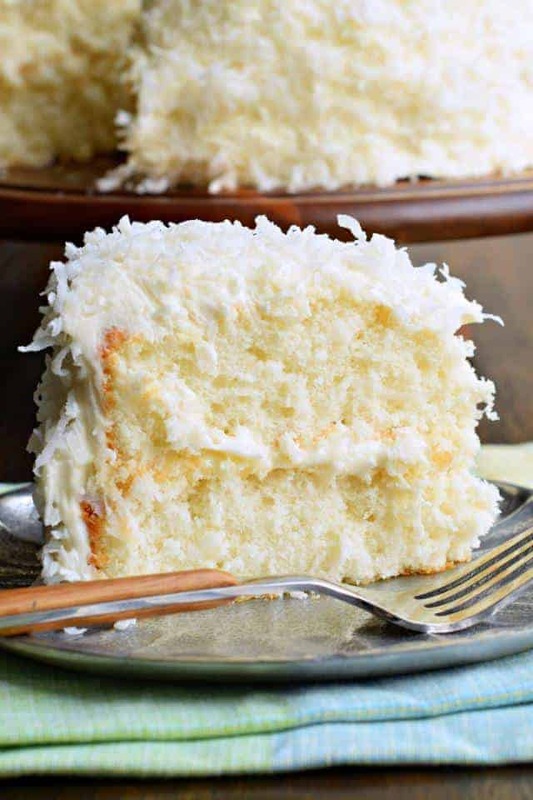 I am a coconut lover and this is the PERFECT coconut cake recipe! This is exactly the type of dessert I need today! It’s like a fluffy cloud of yumminess! Can you tell me what could cause this? Hmmm, could be baked too long. Mixed too much. Too much flour. This definitely is not a dry or dense cake. I would double check the measurements next time! Just wondering if I could put alittle well drained crushed pineapple in the cake batter ? ?